Central Coast trivia nights haven’t been the same since Dean arrived on the scene. Our Trivia nights are a fast-paced, funny & fun, Gold Class trivia experience with a twist. We are not your everyday, run of the mill, pub trivia carry-on. Started off running pub trivia nights in Sydney and Newcastle, Dean has branched out to be much sought after compere in not only pub trivia but also corporate events, karaoke and fundraisers. To mention nothing of his 20+ years as an entertainer (worked as a stand-up comedian in Sydney in the 90’s) and almost 10 years in Commercial Radio (Music and Talkback) on a large radio network of over 40 stations nationally. Dean has won several radio awards as well as being an ACRA finalist every year since starting in commercial radio. This is not your average trivia night. The difference is, there is no washed-out trivia host nobodies reading uninspiring questions off an A4 piece of paper. We use the latest technology and know how to bring you an audio-visual feast that will redefine the way you think of trivia nights. We have several trivia hosts on staff (many of whom are professional Commercial Radio Presenters) and they will provide an entertaining, innovative and interactive experience, with music, video and picture prompts that will leave you wanting more. 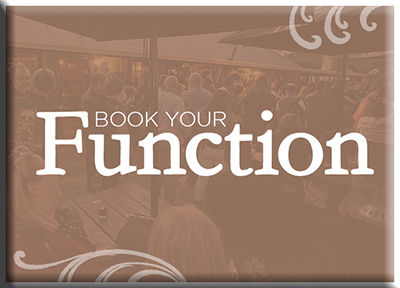 Whether you are organising a weekly club or pub trivia night, corporate event, team-building event, a social night out, or a fundraiser, Dean’s Trivia provides a personalised package and trivia host to suit all your entertainment needs. Over two Decades of experience in the Entertainment Industry GUARANTEE that a night of Trivia with Dean is going to be a night of fun that you will not soon forget. If you are considering hiring us to do your gig, we would suggest that Tuesday and Wednesday nights work best for trivia. Please use our CONTACT page to either book a gig or to get a quote for one.